Lacoste SH4288 1/2 Zip Sweat in Gris Chine/Bleu Marin. 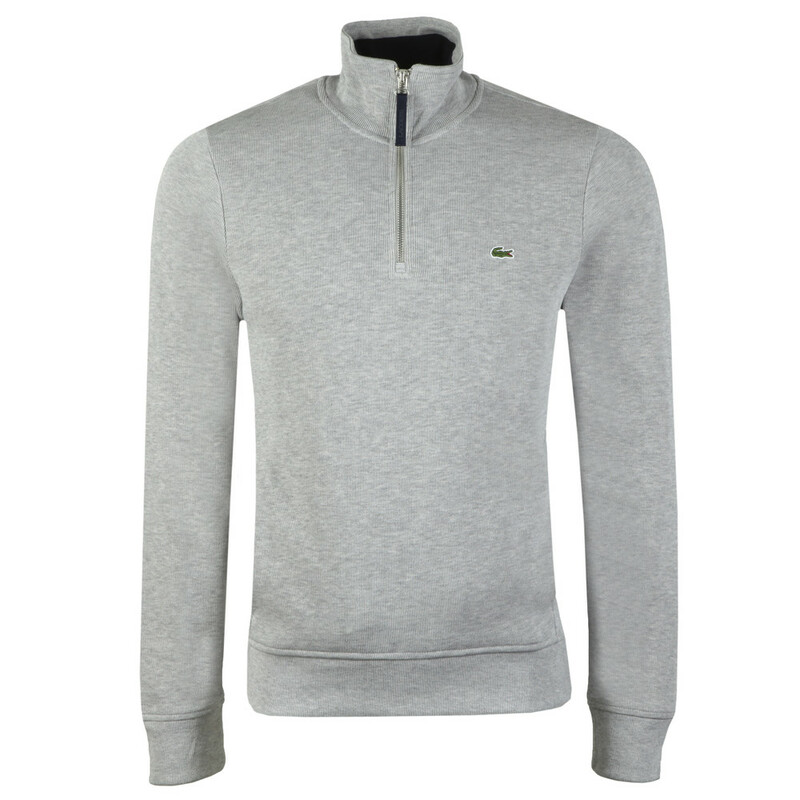 A classic sweatshirt from Lacoste with a zip-open neck. 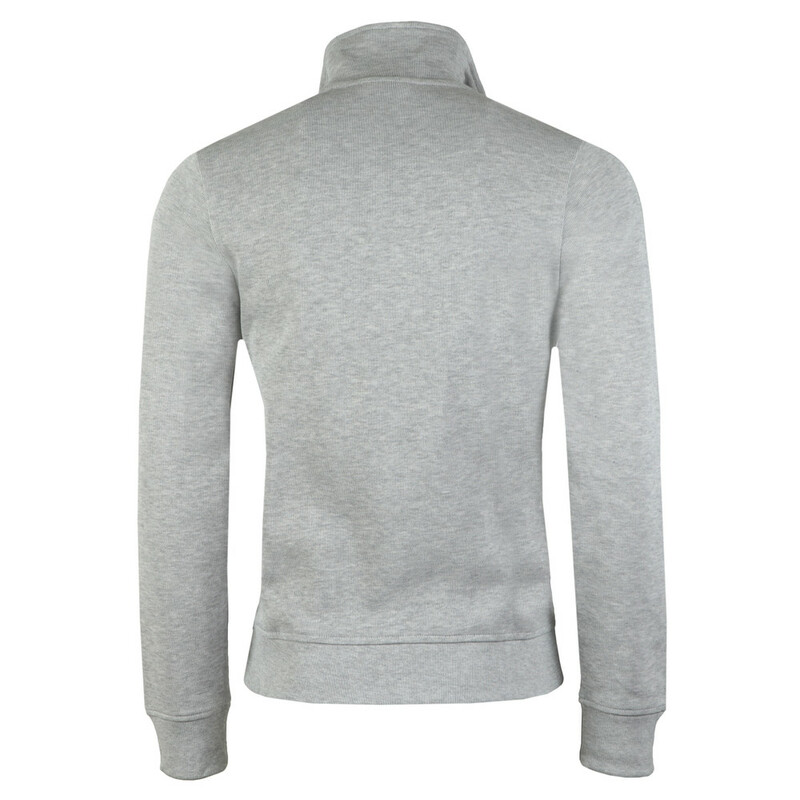 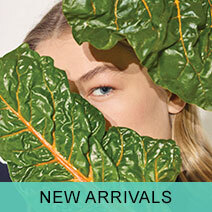 The inner collar has a contrast colour lining and the zip pull features a branded tab. 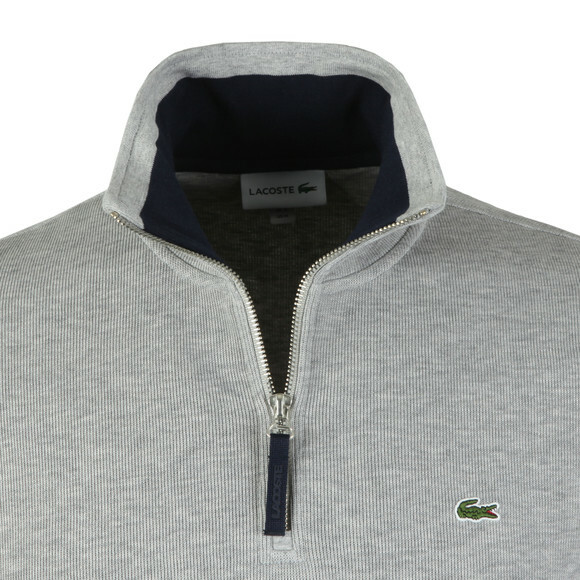 Handwarmer pockets are added to the waist and an embroidered Crocodile logo finishes on the chest.